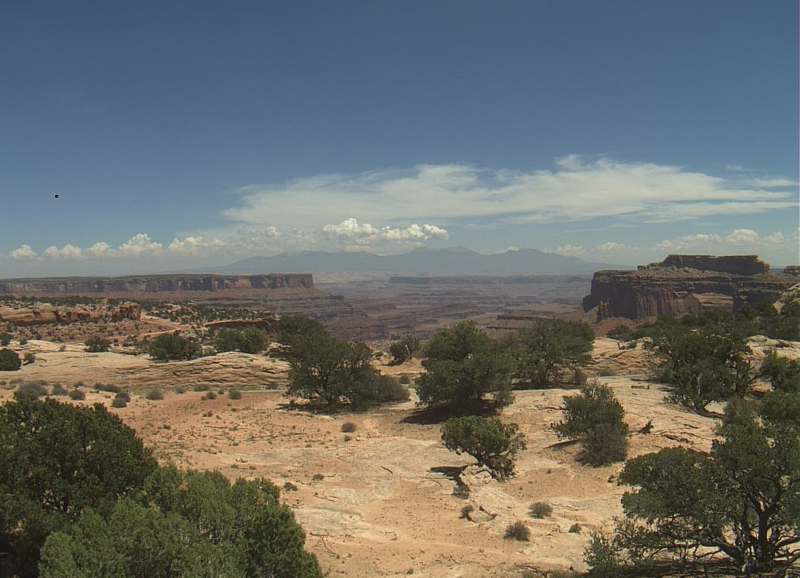 EPA’s AirNow webcam of Canyonlands National Park as seen from the Island in the Sky visitor center on Monday. The study, which focuses on ground-level ozone, tracked more than 25 years of air-quality data as part of a trends analysis. Two national parks in Utah — Zion and Canyonlands — were among 33 that researchers compared with 20 major metropolitan areas, including Los Angeles and Phoenix. Published in the peer-reviewed journal last week, Science Advances, the study by researchers at Cornell University and Iowa State found that what is typically called "summer smog" had dropped over time both in cities and national parks. But, the pollution declined more dramatically in cities to an average 18 days per year, compared with 16 days per year in the parks. Researcher Ivan Rudik, an assistant professor of applied economics at Cornell University, said the results surprised the study team. "By and large, their ozone levels are pretty much the same in these top urban areas and also these areas that we typically think of as pristine, in our national parks," he said. Researchers were also surprised how many national park visitors were exposed to high ozone, which is often compared to causing a "sunburn on the lungs." The study team estimated that 80 million people had breathed ozone pollution in national parks at levels considered "unhealthy for sensitive groups." "I'm sure a lot of those [national park visitors] think that they're getting away, breathing in very clean air, but that's not necessarily going to be true," he said. The study also revealed how visitors either avoided the parks or left them because of the pollution, Rudik said. Just slight increases in ozone could mean fewer summer visitors, about 2 percent less on average. And, in months when pollution was elevated an extra three days, visitation declined by around 8 percent, the study found. "People place a value on having low ozone levels," Rudik said. 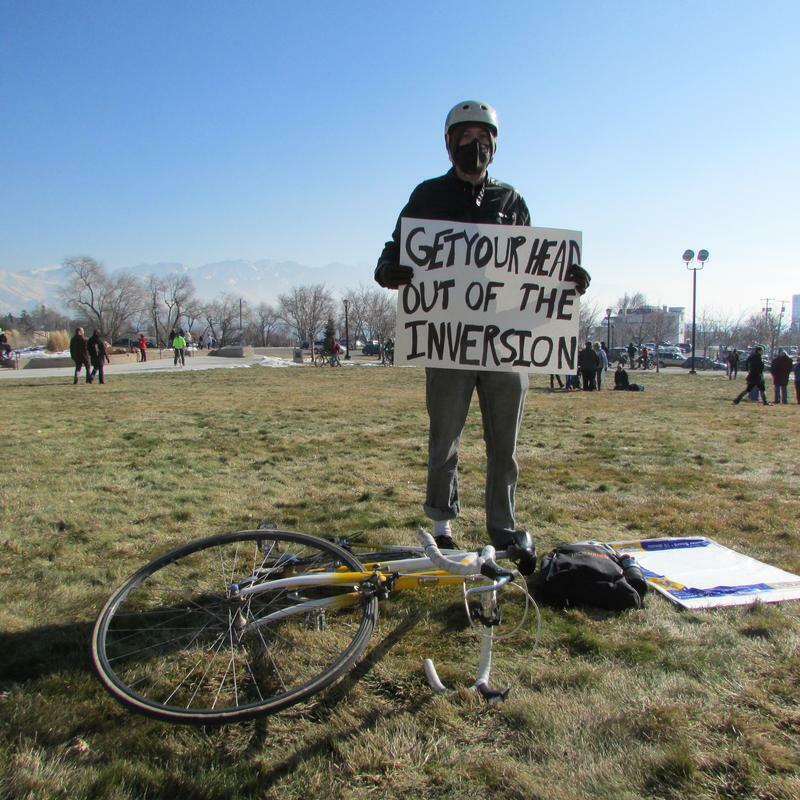 One bright spot in the study's findings is that Utah's national parks generally had fewer high-pollution days than others in the study. Zion had 10 days on average each year when pollution was considered unhealthy for sensitive groups, while Canyonlands had five days, Rudik said. Meanwhile, in California, Yosemite had an average of 60 days when there were pollution warnings and Joshua Tree had 100. These findings echo past research, said Ulla Reeves, who follows air quality for the National Parks Conservation Association, a nonprofit advocacy group. Her group hears from visitors who are disappointed that the parks don't have that fresh air they expect from pristine environments. "We know that when people take pictures of themselves and they can't see the views, they're disappointed," she said. The parks advocacy organization has been pressing the U.S. Environmental Protection Agency and state regulators for years to require Pacificorp's Hunter and Huntington, two coal-fired plants, to add pollution control equipment. Emissions from the plants in southern Utah's Emery County affect eight national parks in the Southwest. Reeves' group was one of the advocates that persuaded environmental regulators in the Obama administration to order that equipment. The Trump administration reversed that decision last year, Reeves said, adding that regulations are essential for protecting the air-quality and the visitor experience in the parks. "It is so important to have those distinct protections for national parks, but they only work if they are implemented," Reeves said.